"May this candle be alight in Sylvia’s name and memory and may she be blessed and guided with God. " Sylvia Adaire Lubak of Wallington, formerly of East Rutherford on February 11th, 2018, she was 26. 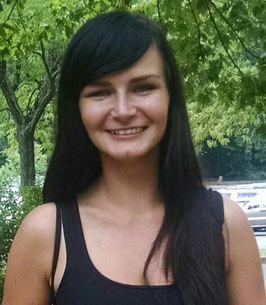 Sylvia was born on April 12th, 1991 in Zambrow, Poland to Bogdan and Renata (Kulawczyk) Lubak. She came to the United States in 2000, at the age of 8. She graduated from Becton HS, East Rutherford, Class of 2010, and then attended NYU. Sylvia enjoyed painting in her free time. She is survived by her beloved parents Bogdan and Renata, her maternal grandmother Janina Kulawczyk and paternal grandfather Jan Lubak, as well as many aunts, uncles and cousins. Visiting Wed, Feb 14th, 7-9 pm, Warner-Wozniak Funeral Service, 80 Midland Ave, Wallington, NJ. A Funeral Mass will be celebrated on Thursday, February 15th, 2018 at The Most Sacred Heart of Jesus Church, 127 Paterson Avenue, Wallington. A private cremation will follow. 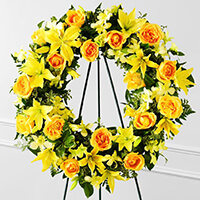 To send flowers to the family of Sylvia Adaire Lubak, please visit our Heartfelt Sympathies Store. May this candle be alight in Sylvia’s name and memory and may she be blessed and guided with God. My sincere condolences to the family and friends. May Sylvia be guided and blessed in Heaven and may God give you strength and peace. This was very tragic to hear. I did not know Sylvia and I learned of this through the newspaper but we share the same age and this could have been me or anyone our age. Again my sincere condolences. Peace be with you. Our family send their sincere and deepest condolences to you Renata and Bogdan at this deeply sad time. May your dear daughter rest in peace. With much love and affection.